Leaders in Australia’s legal profession have identified a gulf between the demand and supply of lawyers and specialists with management and leadership expertise as a major threat to the industry. The consensus was reached by business leaders at the recent Legal Business Leaders Roundtable organised by The College of Law in Sydney. Most lawyers lack business skills training, which may lead to the profession in the country suffering because there is a shortage of lawyers with the capacity to run the business of law. It is time for the business of law to be added to the practice of law, whether it is private practice, in-house operations, or in courts or legal aid, the business leaders said. The leaders said that the shortcomings of the traditional legal services model have been exposed. The legal services industry, they said, needs outside help. This means that either people with specialist skills must be brought in, or the skills must be taught to those already in the profession. They said that legal skills do not necessarily translate to good leadership, with many firms having many technically excellent partners who are less able to lead or set a direction and strategy for the organisation. Many lawyers do not appreciate multi-disciplinary input into the delivery of legal services, they said. 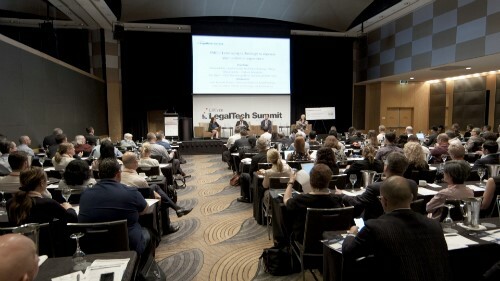 The legal profession must also recognise that employees in other disciplines are professionals in their own right and that lawyers must learn to truly collaborate with these professionals, including technologists, management consultants, project managers, financial experts, human resources, and marketing experts. The industry will also lose the business of these professionals, either to a competitor or to other industries, if it does not respond to the career needs of other professions, they said. The leaders also said that while talented, digitally savvy, and engaged young graduates are potential goldmines for legal organisations, their talents are not being properly or fully used. Firms fall short in listening to and implementing the ideas of the new generation, they said. Sumith Perera, Hall & Wilcox chief operating officer and Centre for Legal Innovation advisory board member, hosted the roundtable, held at the firm’s Sydney boardroom in October. Neville Carter, The College of Law chief executive, chaired the event. Dr George Beaton, who chairs the college’s master of legal business program board, facilitated the discussions. The roundtable was conducted under Chatham House Rules.